From Thomas Sabo is this sparkling Silver CZ Knot Ring. Adorned with twinkling Cubic Zirconia stones, this ring would be a stunning addition to an evening look. 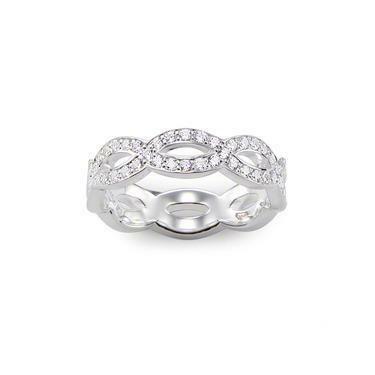 This Thomas Sabo Silver CZ Knot Ring Size 50 features Cubic Zirconia stones embellished into the ring detailing. The design of the ring is in a twisted knot style, all of the way around the band. The perfect gift for a loved one.